Electronics Express via Google Express [google.com] has iRobot Roomba i7+ 7550 Self-Charging Robot Vacuum w/ Automatic Dirt Disposal on sale for $949.99 - $150 w/ coupon code WXITXM = $799.99. Shipping is free. The item is sold by Adorama Camera via Google Express for $115.99. For new Google Express user, using code APRSAV19 drops the price to $95.99. Should be lowest online. BuyDig Via Google Express [google.com] has 60" LG UK6090PUA Series 60UK6090 $530 - 10% w/ code APRDEAL10 = $477. Shipping is free. BuyDig via Google Express [google.com] has Samsung 65 Q6FN QLED Smart 4K UHD TV 2018 Model with 1 Year Extended Warranty on sale for $1015 (price in checkout) - $110 with code APRDEAL10 = $913.50. Shipping is free. Google Express has Select XBox Consoles on Sale. Shipping is free. First: Click Save $166 on this item (upper right); then take extra 10% off w/ "APRDEAL10"
Google Express takes an extra 10% off a selection of electronics, appliances, toys, and more via coupon code "APRDEAL10" during its Flash Sale. Plus, most these orders receive free shipping. Costco @Google Express (Membership Req'd) has (Latest Gen) Apple AirPods on Sale. Shipping is free. No tax to CA for me! Best Buy via eBay [ebay.com] has Logitech Harmony 650 Universal Remote Control for $24.99. Shipping is free. Best Buy via Google Express [google.com] also has Logitech Harmony 650 Universal Remote Control for $24.99. Shipping is free. 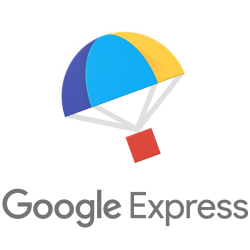 Note, new Google Express Customers can use promo APRSAVE19 for 20% off their first order making it $19.99. Best Buy [bestbuy.com] also has Logitech Harmony 650 Universal Remote Control for $24.99. Select free store pickup where stock permits, otherwise shipping is free on orders $35+.